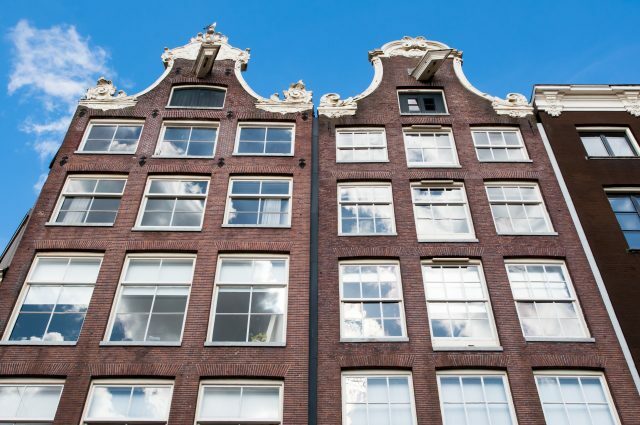 Facade of the Amsterdam17th century building, Netherlands. 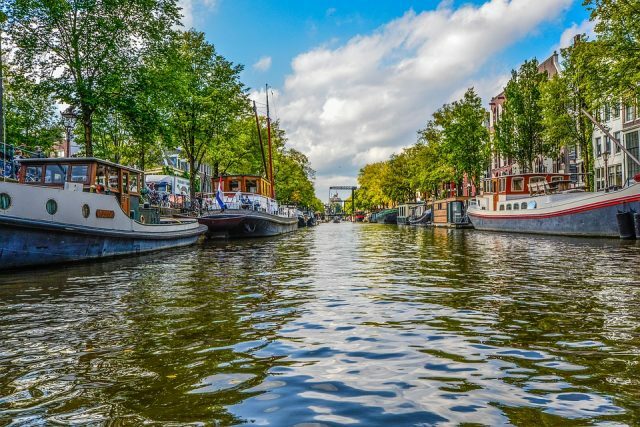 Explore “Venice of the North” on a walking tour complete with a canal boat cruise and largest collection of paintings by Vincent van Gogh. 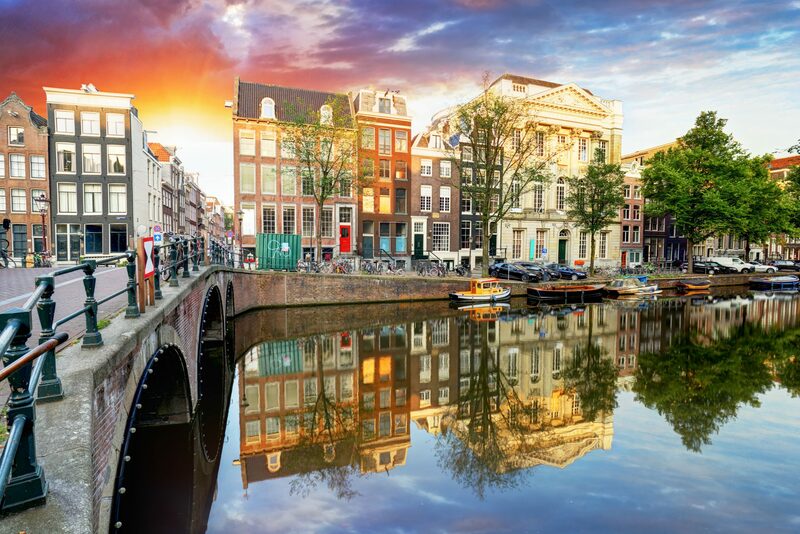 Our lovely stroll around Amsterdam begins by taking in the beauty of vintage canal houses and countless bridges of the historic old town. 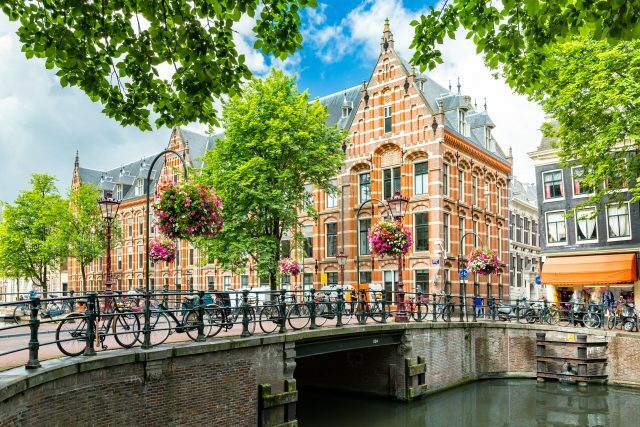 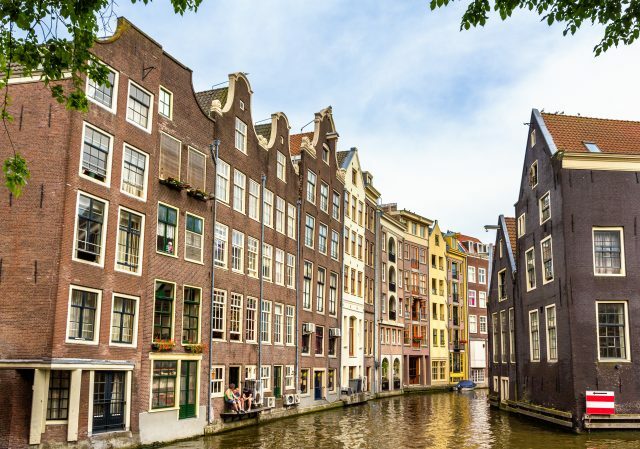 Aside world famous museums, Amsterdam also has some of the most outstanding Renaissance and contemporary architecture, which we will explore around Dam Square. 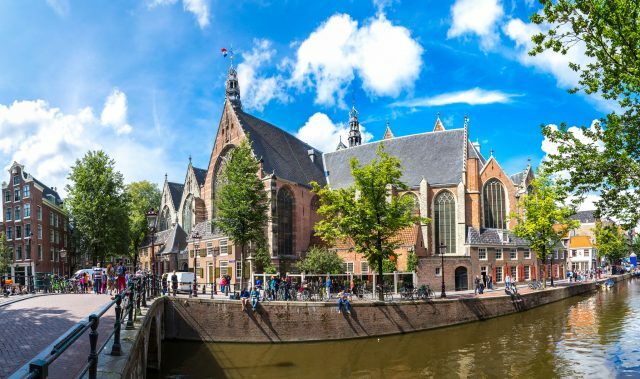 We will revel in the grandeur of both the 17th century Town Hall as well as the 15th century Nieuwe Kerk next door. 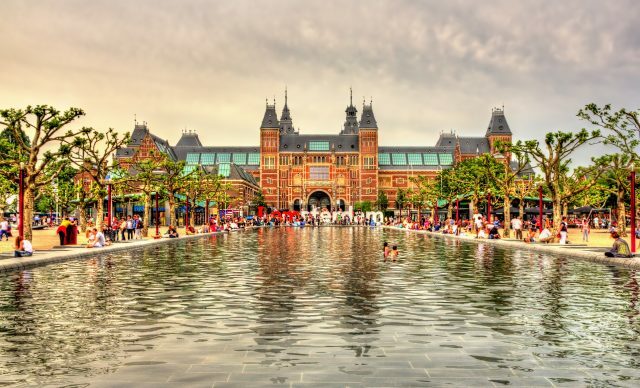 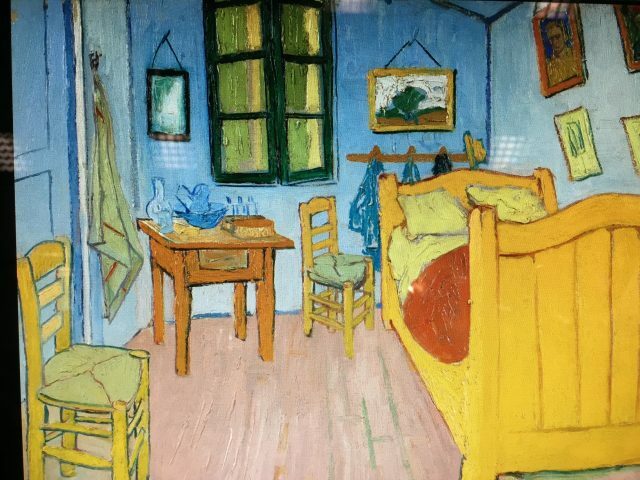 We will also take a look behind the scenes of the provocative Red Light District as we make our way towards the unique setting of Museumplein, where three major museums – the Rijksmuseum, Van Gogh Museum, and Stedelijk Museum are located. 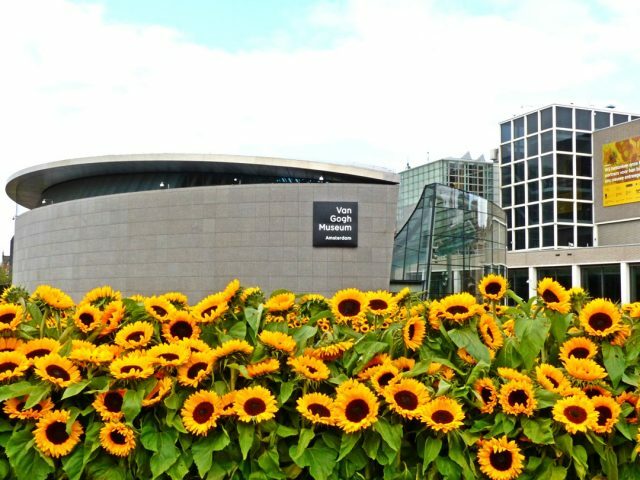 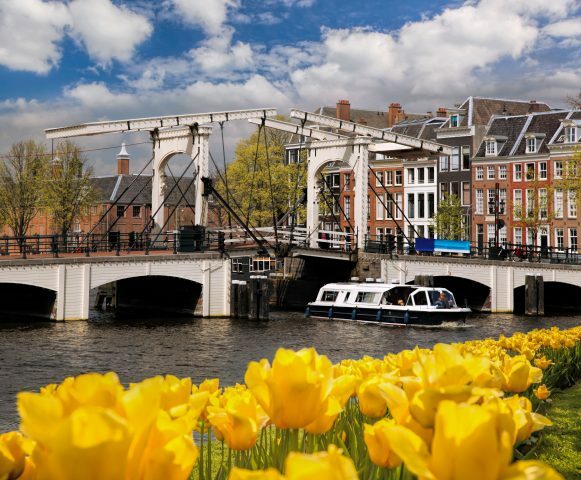 A walk across this wonderful urban space used for festivals and celebrations will lead us to the fine work by Vincent van Gogh. 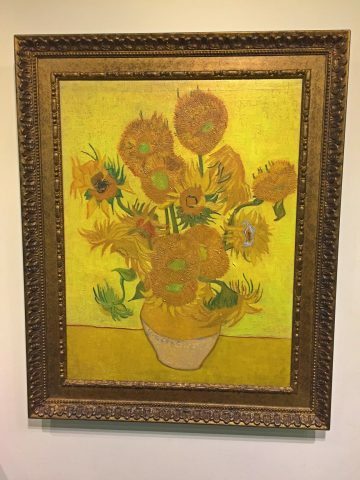 We will follows the artists “dark ages”, the revelation of color, light and impressionism as well as his final countryside oeuvre of the famous wheat fields. 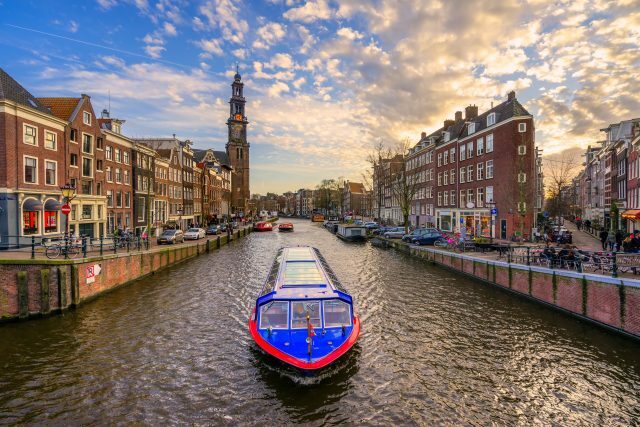 After a few hours filled with captivating stories of the past and present of Amsterdam, there is nothing more enjoyable, then cruising the waterways to take in the highlights situated around striking Amsterdam canals.